The holidays are around the corner (ok, not really, but to brands they are). If you didn’t want to invest in the Kat Von D set I described in my previous post, because its colors were a tad too bold for you tastes, then the Marc Jacobs ‘The Sofia’ 5 Piece Petites Le Marc Lip Creme Collection is a solid bet for you. Also, brands, can we give things reasonable names that don’t make you feel like you’re reciting every word you’ve ever learned? This is getting a bit ridiculous. I practically need a glass of water and a snack just to get through typing out that whole name. Kthanxbye. 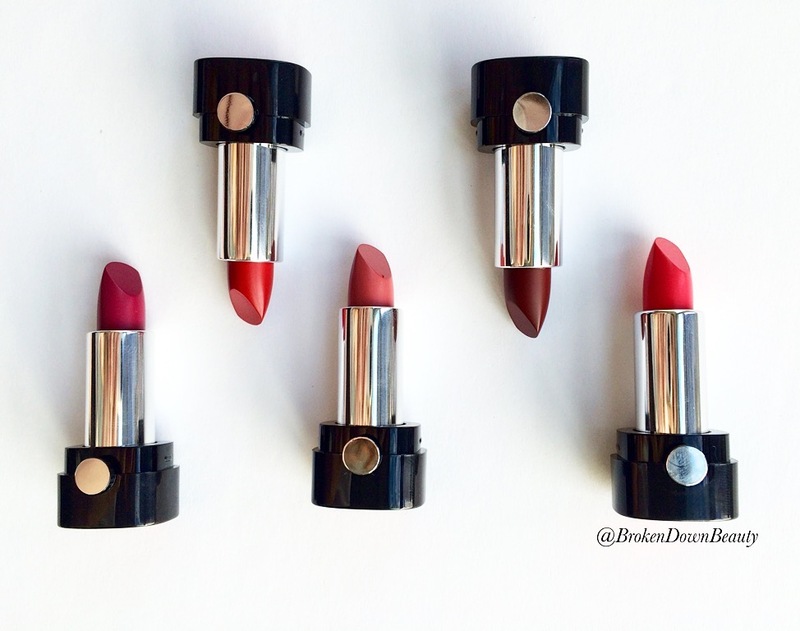 Anyway, this holiday kit contains 5, mini versions of Marc Jacobs’ Lip Creme lipsticks. Not only is the packaging just as classy as the full-size version, but these babies have some serious color pay off. They say one swipe, and they mean it. These lippies are rich and highly pigmented but also easily wearable for work or dinner out. They’re small enough so you can fit them in a teeny-tiny clutch for touch ups (not that you’d need them, cause this stuff stays on pretty well). This collection costs $45, and a full-sized Lip Creme is $30. This kit contains five 0.05 oz lipsticks, which totals to 0.25 oz. Meanwhile, a full-size lipstick is 0.12 ounces. This means that the kit actually costs $180 per ounce, and the full-size costs $250 per ounce. So, you’re getting more lipstick for you money if you buy the kit! Still not for you? Or just looking for even more things to buy? There’s more to come, ladies and gents. Just you wait! I totally agree! There are so many great sets. It’s hard to choose. So far, though, I’ve found this to be my favorite lip set for the holidays. Good price. Good selection. Definitely my top thus far!